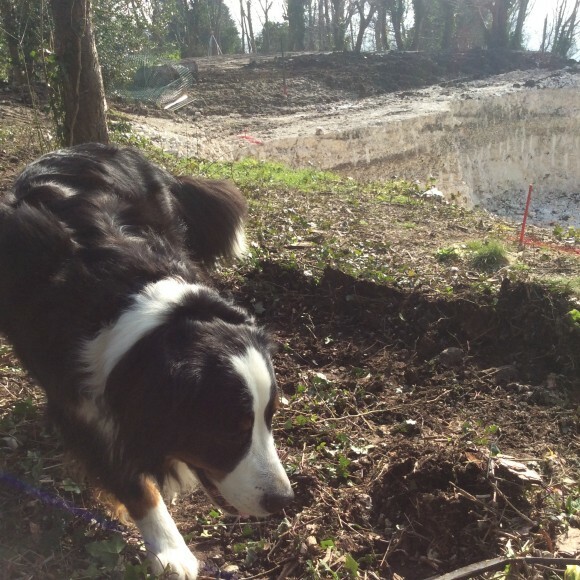 We love our poochy pals but we’re building a virtually air tight house. Why should that matter, you might say? Because it begs a question: should a new-build house dictate the way you live or support your lifestyle? This little stumbling block cropped up whilst we visited Baufritz’s factory in Germany for our week of sampling. We’re enthusiastic about installing mechanical ventilation with heat recovery (MVHR) because it will support our key objective of minimising energy consumption; clearly a desirable, green way to live. 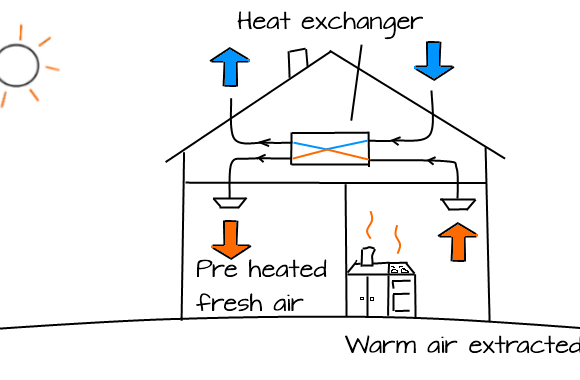 MVHR offers good indoor air quality and energy efficiency in highly insulated houses. But are we really prepared to make compromises in our day to day activities to ensure this sort of house ‘performs’ well? Sky House Sussex is a relatively narrow, long and highly-glazed modern house: is a centralised or decentralised MVHR system more appropriate? Many man-hours of deliberations later, the solution of two centralised systems, one for each storey of the house was decided. Amy then asked to have two dog flaps which caused exasperation amongst our German house-building hosts. To Baufritz’s credit, they suggested a double-insulated dog flap with tunnel and secondary door to minimise heat loss. Amy then asked about having an open fireplace – oops! Her colleague Vlad describes the Germans’ reaction as “quite annoyed, nearly weeping”. Far from smoking hot, the idea of an open fire is strictly ‘verboten’ as a chimney would introduce drafts, leading to heat losses, and so rendering MVHR useless due to lack of airtightness. And what about opening up doors and windows to hear the birds sing? Sadly another no-no as it will cause heat loss and compromise the performance of MHRV, a bit like opening a car window when the air-conditioning is on. We’d be foolish to question the importance and value of MVHR in our build (particularly given the ingenious filter system which routinely cleans the circulated air) but it seems that living in strict accordance to the rules of an airtight house may be a step too far, even for us. Perhaps it is a cultural difference – is it just that we like having doors and windows open more than people on the continent?Do you have any experience of living in a mechanically ventilated house with pets? We’d love to hear from you if you have any views on this.